Close to the Swiss alpine resort of St. Moritz, the beautiful Maloja Palace Hotel featured on many travel websites but was lacking any form of social media. Nadine, the Marketing Manager, enlisted our social media service to help give the hotel’s social accounts the ‘wow factor’. 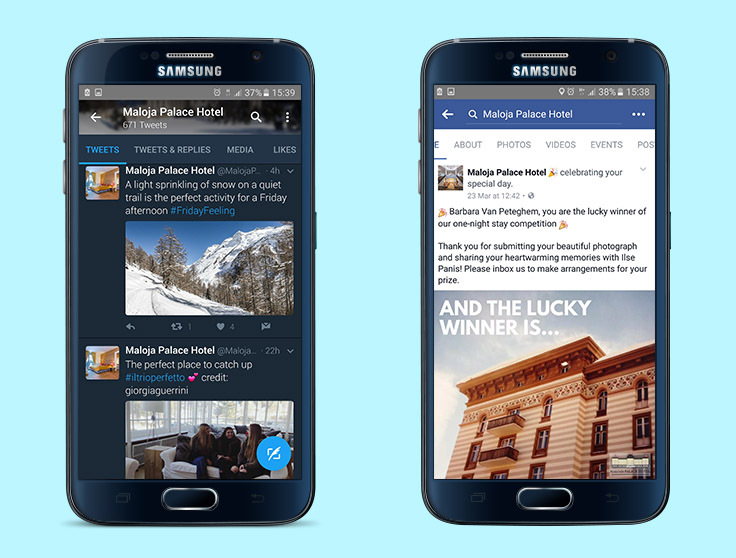 Following our initial discussions with Nadine, we carried out extensive research of her business and industry — this involved lots of competitor analysis, so we could identify any opportunities to make Maloja Palace’s social media channels pop. 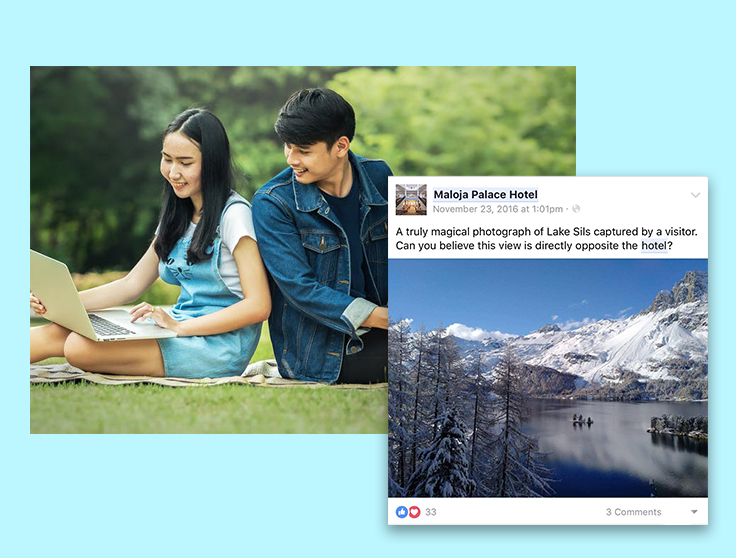 We took over the day-to-day management of the hotel’s social media channels, posting consistent content that Maloja Palace’s target audience would engage with. To help customers find and connect with the social accounts, we decided to add links from the hotel’s website to their Facebook and Twitter pages. This was a great way to grow the number of likes and followers. We also recommended creating a YouTube channel and video to showcase the hotel. Our talented team produced a stunning video that could be promoted on social media. Following the success of the Twitter and Facebook accounts, Nadine asked us to set up an Instagram account, too.